Last month, Hannah told me she wanted to change her name to Toopy Baa Baa Pizza Pizza Pie Mr. Potato. I kid you not. Clearly Toopy was in homage to every preschooler's favourite rat - Toopy of Toopy and Binoo fame. So she was really excited when I brought home two new DVDs for her - I Love Toopy and I Love Binoo. Each DVD is 75 minutes long and contains many Toopy and Binoo favourites - and both are in stores now, a perfect gift for Valentine's Day! Watch as Toopy shows us the meaning of friendship as he goes on a fishing trip with Binoo, looks for the perfect planet, has a camp out and plays in the land of bubbles. Watch as Binoo gets ready for Valentine’s Day, gets lost playing with books, plays peek-a-boo with Toopy and shows us the true meaning of friendship. Hannah's favourite episode is "Binoo's Letter". She likes watching Toopy and Binoo deliver all the letters and see what each of the animals get in the mail. Does your child prefer Toopy or Binoo? One lucky YYZ Bambina reader will win BOTH DVDs! Enter using the Rafflecopter below by February 24th, 2015. 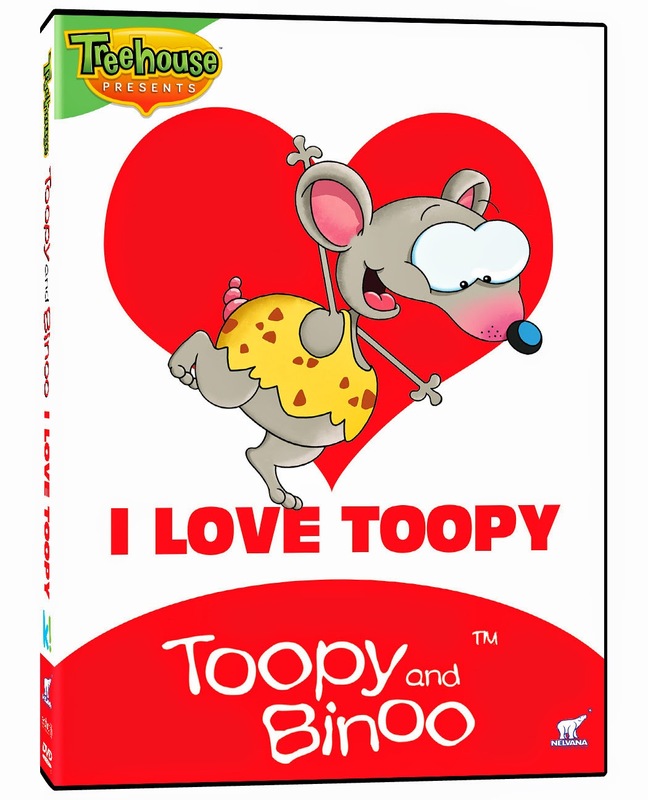 I Love Toopy and I Love Binoo DVDs. 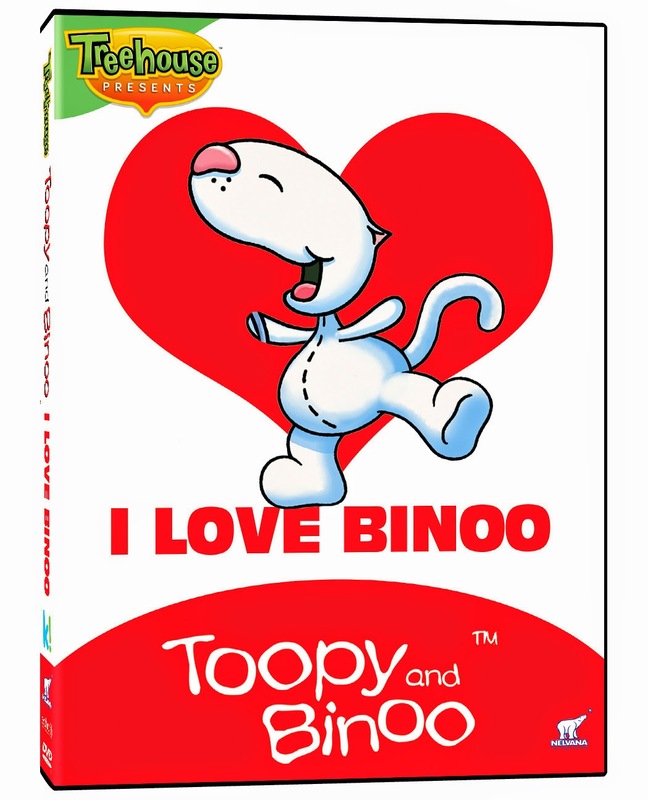 Who does your child like best - Toopy or Binoo? My son and I love Toopy! My son LOVES them both! Patchy Patch! She's onto her second stuffy because she wore the first one out...and she's only 3 years old! My oldest son loves Toopy. My youngest son loves Binoo! My little granddaughter loves Toopy. My little guys love both! One likes Toopy, the other likes them both equally. I like Toopy. My kids saw their first live performance of them in December and it's all they'll talk about. My kids loves Binoo. They think he's hilarious.